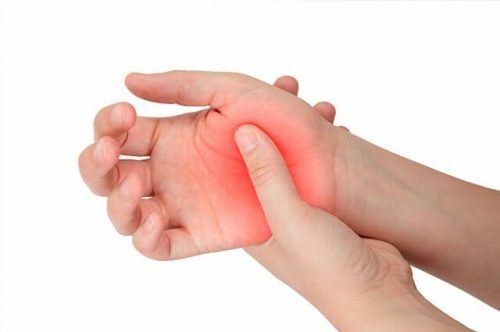 Are you dealing with sharp, shooting pain in your arms and hands? Do you experience numbness or tingling in your thighs, knees and feet? Does muscle stiffness radiate into your extremities? If your answer is ‘yes’, then you probably have some level of damage in your nerves. The nerves of your upper back and lower neck region travel to your shoulders, arms and hands. The nerves of your lower back (lumbar spine) travel down your thighs, knees and feet. These nerves control the muscles and joints of your arms and legs. Spinal misalignments, known as subluxations, in those regions can lead to numbness and tingling in your extremities. Radiating pain and numbness is usually present after a long period of damage to a person’s nerves. Significant spinal degeneration can also be an important factor in radiating pain, numbness, and tingling. Numbness, tingling, and radiating pain are usually signs of a severe, long-term subluxation damage. 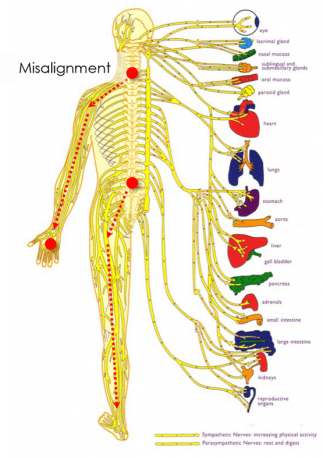 If the cause of your numbness, tingling, or radiating pain is your spine being physically out of alignment; then this physical cause needs a physical solution. Chiropractic adjustments are physical movements that realign your spine. Read success stories of people who had their numbness improved through Chiropractic care. There is no reason to continue dealing with numbness, tingling, and radiating pain. Nor should you continue to cover up the pain with ineffective, temporary treatments.